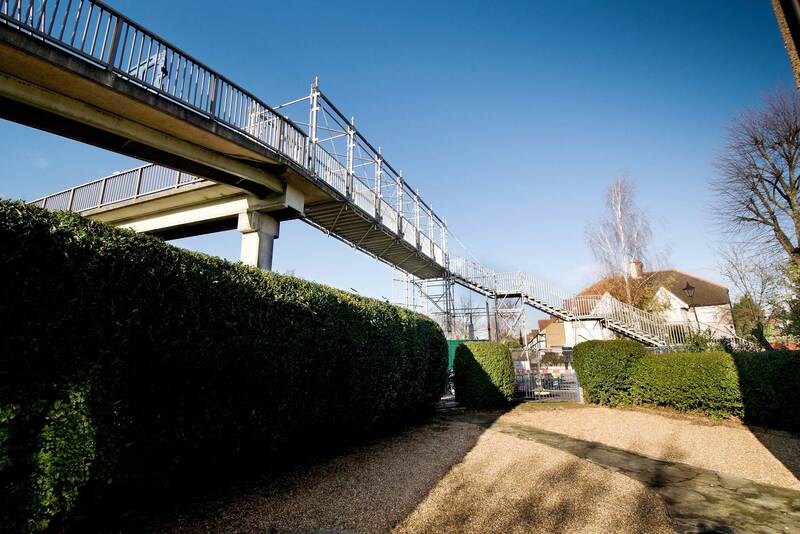 Installed by Pro Access Scaffolding, the purpose-designed Layher Allround® Bridging Truss system has produced tangible benefits alongside the busy A406 North Circular Road in London with ease of installation and significant cost savings compared with alternative solutions both noted. 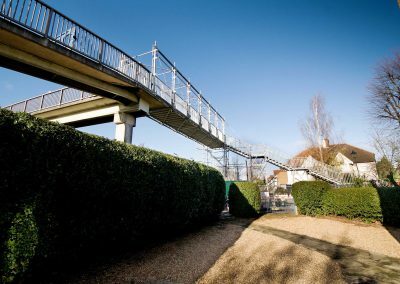 A four-flight Layher Staircase system was built from the adjacent side street, giving access onto the 12.5 metre-long Layher bridging structure which, in turn, connected with the existing footbridge over the Gunnersbury Road section of the A406 in Acton. 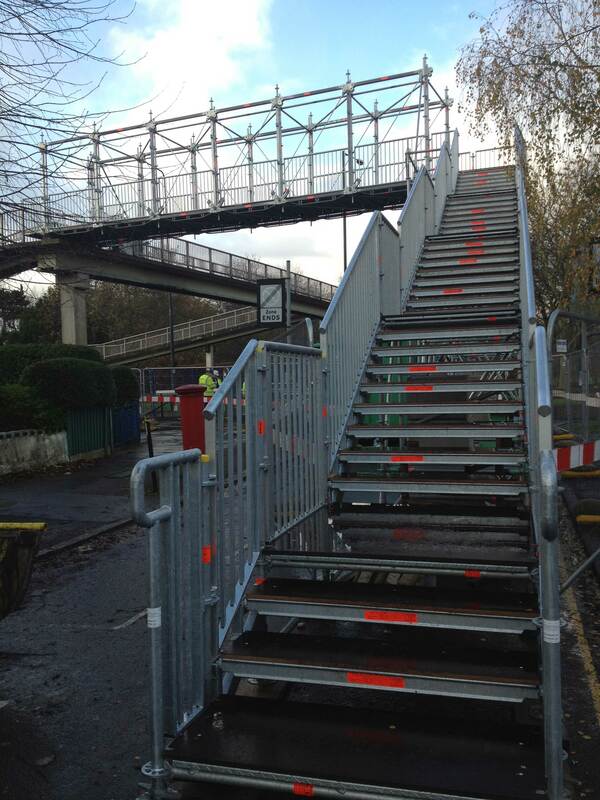 Layher decking and ‘Buffalo’ board provided the optimum walkway surface. “Minimal road closure and the eradication of the need to install a separate pedestrian crossing were achieved,” adds Mark Chapman. 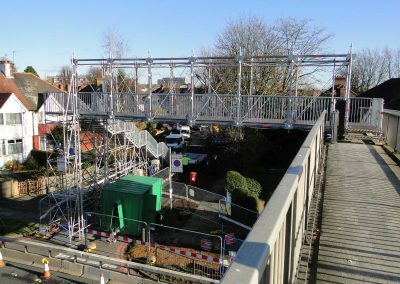 “The installation has also shown the compatibility between our Bridging Truss system and our established Original Layher Allround® scaffolding design as we were able to incorporate appropriate components to form the pedestrian staircase system,” comments Layher UK’s MD, Sean Pike. 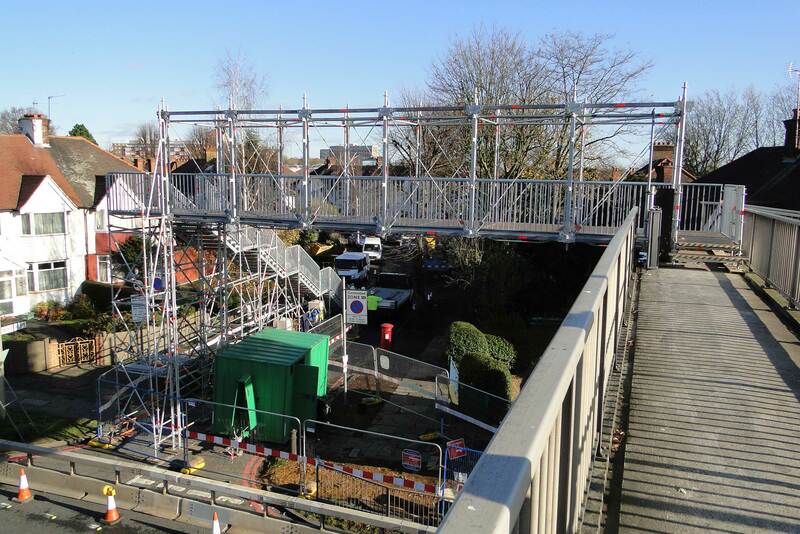 Erection was undertaken manually with a crane only brought in during dismantling – a far quicker process. 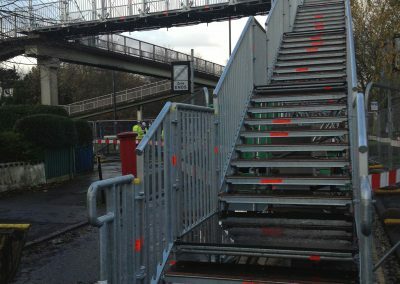 This saw the still-assembled footbridge system lifted onto a flatbed trailer in an overnight procedure that took just 4.5 hours.